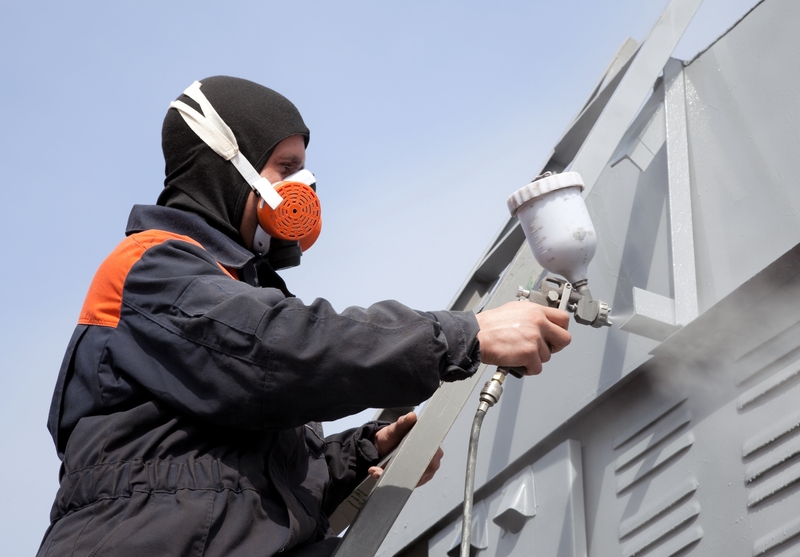 When it comes to knowing if it’s time to paint their buildings, most business owners know to look for the obvious signs of bubbling and chipping. But many are surprised to learn these telltale signs aren’t the only clues. Here are three of the more surprising signs it’s time your commercial building needs exterior painting. Our buildings do so well keeping out the elements that it’s easy to think that they’re invincible. But all it takes is a little wood rot to prove otherwise. The main symptom is a soft spot in your building’s wood siding. This is a sign of excess water exposure, which happens when paint gets worn down by day-to-day exposure. When you start seeing these spots, it’s time to shop for painters. A building’s caulk is important to its structural integrity. It seals up all the little cracks that can let in the elements, then it’s covered in a layer of paint. By the time your caulk is showing signs of damage, you can rest assured that paint has worn away. If your caulk is splitting around windows or is brittle to the touch, prepare to replace it and cover it up with a good layer of paint. When your building’s beautiful shade of red becomes a sickly salmon, it’s obvious you need to paint. What isn’t always obvious, however, is where to look for signs of fading. Monitor the sides of your building that get the most sun exposure. Those areas tend to provide the first head’s up that new paint should be in your near future. Good exterior paint can boost curb appeal and even make your commercial building more durable and weather resistant. Keep these tips in mind and contact Colorado Commercial & Residential Painting today by sending an email to trevor@coloradopainting.info or completing a contact form to get a free estimate for your next project.